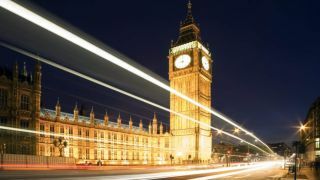 Over 200,000 small businesses in London could be in line to start using .london domain names when they go on sale at the end of April, according to new figures. A survey carried out by opinion pollster YouGov found that more than one in four businesses said they were likely to register a .london URL. The research, conducted on behalf of London & Partners, also showed that 48 per cent of those surveyed said they would register for the .london domain name because, "they are proud to be a London business." A further 41 per cent believed that a .london web address would help customers find them more easily and over a quarter said they thought it would help improve sales. The .london domain name was secured in 2013 in a deal with ICANN, which is in the process of rolling out more than one thousand new generic top-level domains (gTLDs). London is one of the first cities in the world to launch its own gTLD. Londoners will be given a 3-month priority period from April 29th in which they can reserve an address using the domain before it goes on general sale. Trademark holders will also be given priority access. According to London & Partners, "dozens of leading brands" have expressed an interest in having a .london web address, including ABP, Museum of London and Society of London Theatre. The firm says that the YouGov survey suggests that small businesses will also be keen to use the domain. Gordon Innes, Chief Executive of London & Partners, said: "This is an incredible response from London's small business community which sees .london as an opportunity to claim an exciting new web address that is uniquely associated with our city's powerful brand." There are fears though that the sudden surge in the number of new generic TLDs will encourage criminals to set up phishing websites that will pass off as the real ones. Small organisations that cannot afford to buy scores of domain names to cover their products and their brands would be particularly vulnerable.